From front to back, we’re proud to say that our team is filled with all-stars. Each one of our staff was hand-selected by our doctors based on their training, experience, and friendly personality. Every day, they come together to make sure our patients have the easiest, most stress-free dental experience imaginable. They’ll leave no question unanswered and make sure you always have everything you need for your appointments. Read on below to learn a little more about our fantastic team. 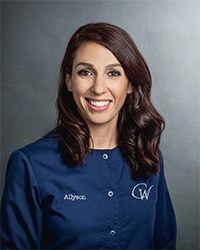 Allyson has been with our practice since graduating from the University of Maryland Dental Hygiene School in 2011. 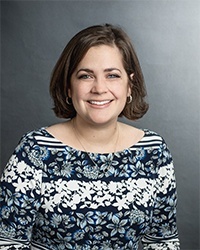 Prior to that, Allyson received her bachelor’s degree from Towson University in health science with a concentration in community health education. With this background, Allyson believes in educating patients to help them achieve the highest level of oral health. In her free time, Allyson enjoys exercising, doing yoga, and traveling with her husband Scott. 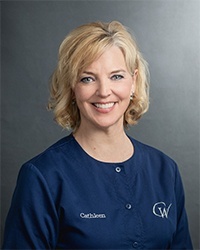 Cathleen has been with us since she graduated with honors from the Harrisburg, PA Dental Hygiene program in 2008. 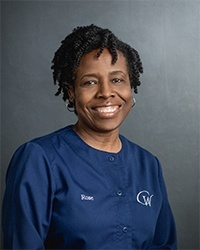 Prior to becoming a dental hygienist, she spent several years as a qualified dental assistant, and thus has a breadth of knowledge on the various aspects of dentistry unequaled in the profession. Cathleen resides in southern Pennsylvania with her husband, Matt, and she enjoys traveling, being outdoors, and hanging with her dogs. 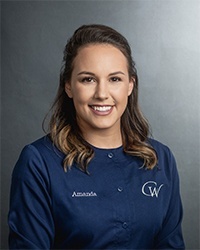 Amanda joined our team in 2017 after graduating with honors from CCBC's dental hygiene program in the Spring of 2016. She completed her hygiene training while also studying for her personal training certification, which she finished in Summer 2016. She has a passion for educating patients about the oral-systemic link and enjoys spending time playing with her new puppy, cooking, and working out at the gym. Nicole was happy to join our team in 2009. 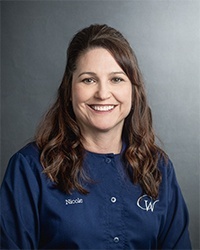 Nicole, who is now our treatment coordinator, has been a certified dental assistant since 1986. She loves getting to know a patient’s entire family and treating them like they are her own. With her experience in both the front and back office, she is our go-to girl, happy to jump in to assist chairside or handle insurance problems. Nicole enjoys camping, cleaning (seriously), and hanging with her husband Gary, their 6 children, and 8 grandchildren. Sophie joined our practice in 2011 with no previous experience in dentistry! As our business manager, Sophie is the unseen machine who keeps the wheels turning and eats, breathes, and sleeps Conklin & Ward Dental Group. She loves that her job has both technical and creative elements. In her free time, she likes to sleep with software manuals. Sophie, her husband Danny, their little girl, and their big dog live in Severna Park. Rose became a part of our team in 1991. Rose has a lot of roles to fill; whether she is assisting, ordering supplies, or keeping us all in line, she is constantly busy! Rose likes it when she is able to see her patients’ smiles transform through large restorative cases. In recent years, she has enjoyed getting to assist with periodontics and learning the techniques of those surgeries. In her free time, Rose loves tennis, whether she is playing herself, watching her kids, or enjoying the pros on TV. She also enjoys watching comedies and attending West Indies parties because they include a lot of dancing. 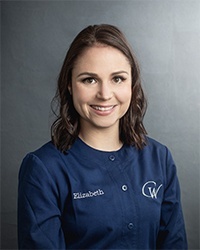 Elizabeth joined Conklin & Ward Dental Group in 2016 after moving to the area with her fiance Cory and their yellow lab Samantha. Previously Elizabeth attended New England College where she graduated with a degree in child psychology. She then changed her focus from brains to teeth and completed her assistant certification in VA in 2011. Elizabeth is a huge foodie who loves practicing yoga with her essential oils, swimming with her big puppy and surrounding herself with friends and family, like the one she found at Conklin & Ward Dental Group.